April’s refrigeration and retail design news roundup has arrived. This month we are all about new retail opportunities, new technology and some practical hints and tips. Please note that this link expires on 23rd May 2018, so stay tuned for the next one. Smart features, a unique sleek profile makes Helios a sophisticated yet affordable solution which has been stress tested and certified for 10 years harsh-industrial product life. 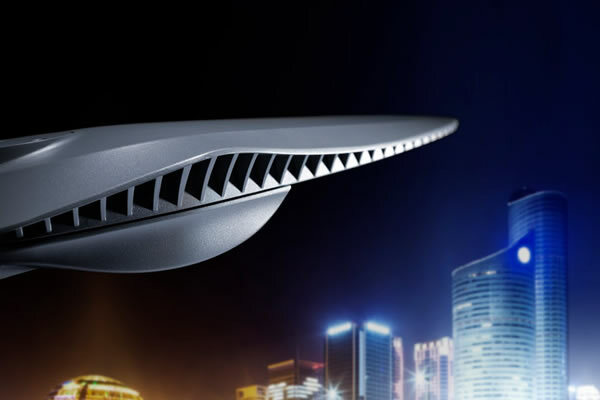 Within the last decade, LED has revolutionised lighting in industry. 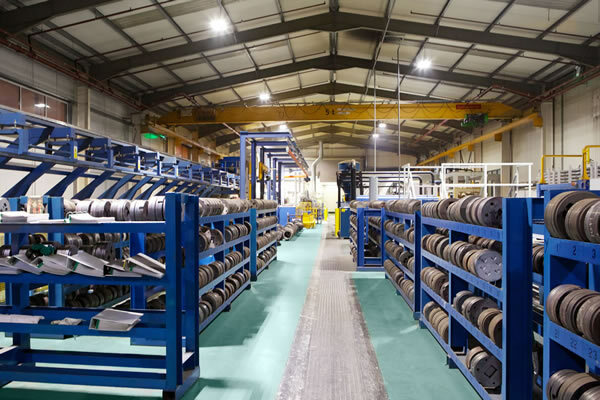 Nualight, already pioneers of LED within the retail environment, recognised their customers’ frustration when they could not transport the benefits they had realised from within the store to their own warehouses and manufacturing plants. From there, the industrial portfolio grew. 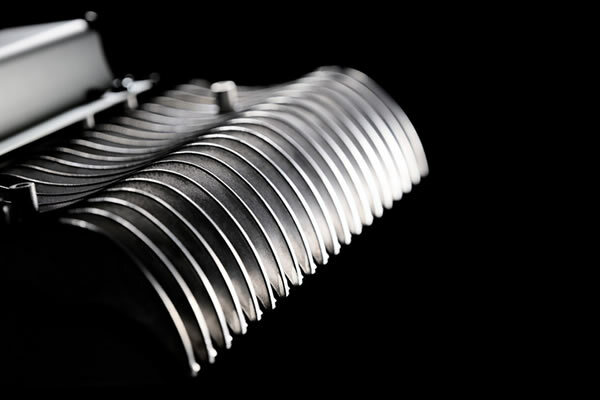 Fast forward and Nualight is a name known in the industrial luminaire market for producing exceptional and affordable high-bay and linear luminaires. A new concept to market is HELIOS. 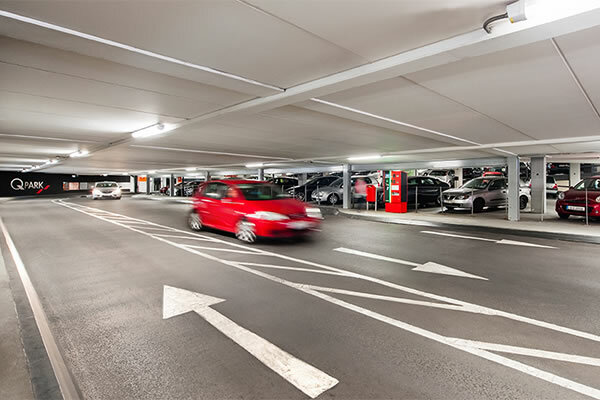 A range of robust IP66, IK10 impact resistant LED linear moisture / damp and dust proof luminaires suitable for tough industrial applications from manufacturing, logistics and warehouses to indoor car parks, cold stores, wash-down and service areas. Helios has been designed specifically with low UGR applications in mind. In a point-for-point replacement of traditional or less efficient LED luminaires, the class leading efficacies of Helios (up to 135lm/w) will enable users to make immediate energy savings without having to change their current wiring installation. Designed as “fit and forget” Helios is a sleek and simple solution welcomed by both end users and installers. Impressively light, Helios is through-wired as standard with a simple flip down access to the connector and clip-in sturdy aluminium mounting brackets. The one- part construction and hinged access compartment means there is no risk or need for installers to separate the gear-tray from the diffusers, which can often be awkward to remove and replace without trapping wires or seals and possibly compromising the IP rating of the luminaire. Likewise, in Helios there are no closure clips to be broken or lost. With long lifetimes (L80 @100Khrs) Helios offers the ability to add accessories post-installation with minimal fuss. 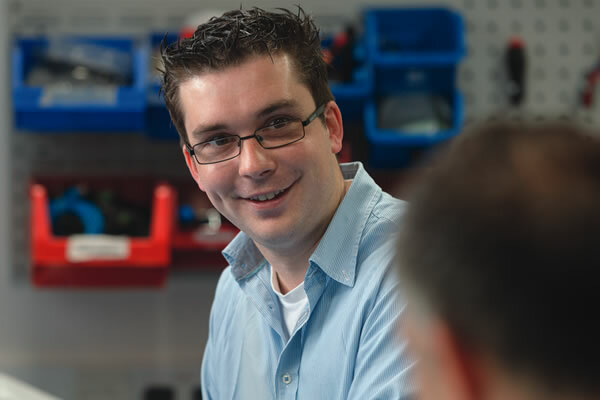 This is especially interesting for customers who do not opt for controls or sensors at initial installation, but who want the flexibility to easily upgrade their installations retrospectively. Clever features which come as standard include a thermal protection circuit, low flicker, pre-fitted cable glands, analogue 1-10v dimming, self-test and separate non-maintained emitters in the emergency versions, all equate to Helios being a sophisticated solution for demanding applications. A sleek and aesthetically pleasing profile means Helios is a contender for both front and back of house applications creating a seamless look throughout. Helios is available with range of accessories including wireless microwave dimming sensors and DALI adaptors. 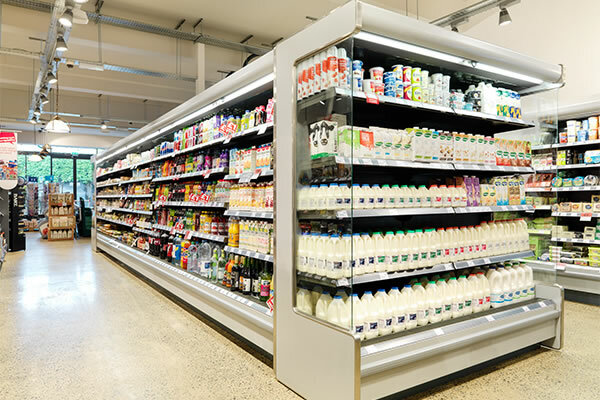 Does it make sense to switch your refrigeration display lighting to LED? The retail lighting industry was turned upside down with the introduction of LED. Owners were hesitant to adopt at first as prices were high. Now designers have an established lighting tool for creating exciting and enticing retail experiences, one which offers proven cost reductions and not just on the shop floor. We see many success stories as retailers and warehouse operators take the plunge and swap or refurbish to LED. 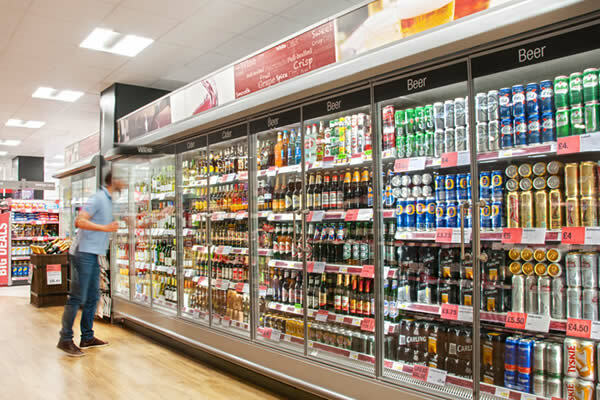 We all understand the benefits of LED to retail and we have seen the rewards, however, often overlooked is the impact LED can have on refrigerated display cases. 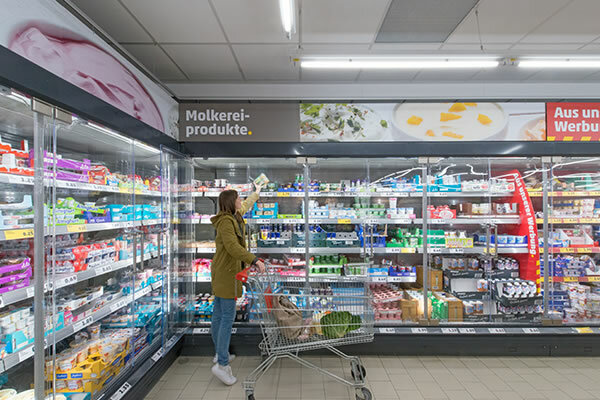 Today LED presents a cost-effective alternative to fluorescent lamps in retailer’s hot, chilled and frozen cases. So, does it make sense to switch to LED within the display case? LEDs perform better at low temperatures and do not produce radiated heat like their T8/T5 counterparts. 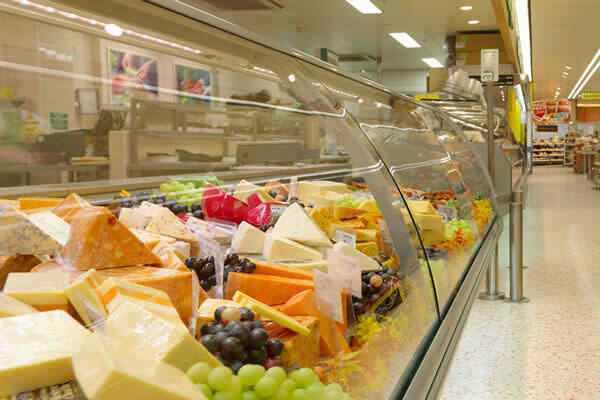 This absence of radiated heat helps to extend products shelf life and reduces the loss of perishable goods, while cooler colour temperatures create impressive merchandise displays. LEDs are really helping the ‘closed fridge door’ movement which is sweeping across Europe, aiding energy savings and creating delightful displays. In refrigeration and freezer display cases, lighting can have a huge impact on the overall feel, influencing the buying experience. Display cases should be a place of colour and contrast. With planned and controlled use of the right light in the case, you can enhance the customer’s journey, draw their eye and encourage them to explore and discover produce in new and exciting ways. 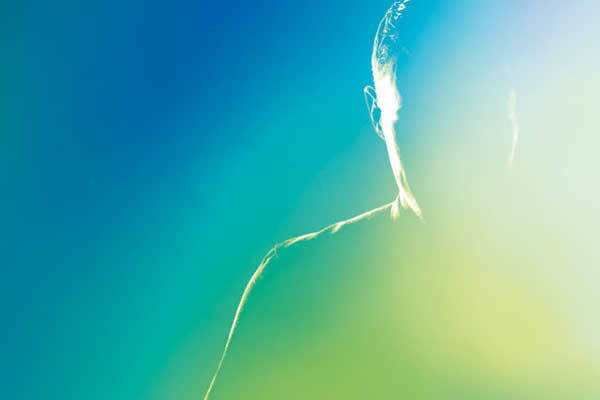 LEDs by their nature are slimmer and can be invisible and discreet within the case, leaving the produce centre stage. 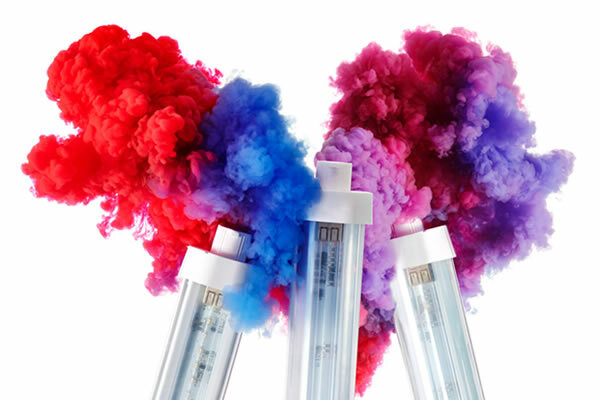 They cover a wider range of the colour spectrum, offering excellent CRI and a choice of colour temperatures, allowing products and packaging to be displayed in their true colours. Furthermore, information on packaging labels will not fade as there are no IR and UV wavelengths emitted. Ambient contrast and theatre can be created using LED solutions, as they are extremely directional and uniform, eliminating any spill or waste light onto the floor and surrounding areas. When applied properly they remove dark spots with minimal glare. With LEDs in your display cases you can have it all, increased performance with reduced cost of ownership. The energy savings with LED are outstanding. For example, when replacing fluorescents with Orion horizontal and vertical LED solutions we can achieve up to 90% energy savings, whilst directing the light exactly where it is needed. 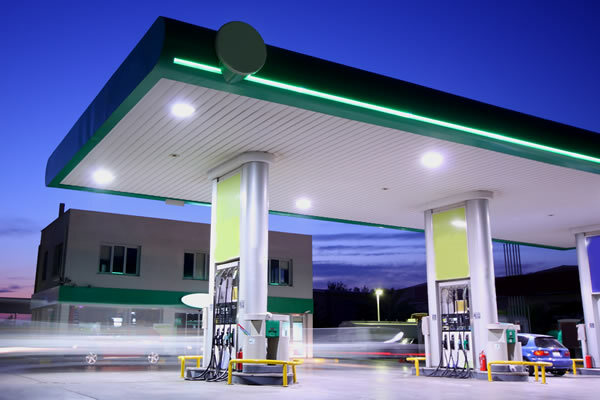 LED are instant, even at -30C, so the lights are ready as soon as your customers are, ensuring displays are always alive and inviting. Minimal service and maintenance effort is required due to long operating lifetimes of up to 50,000 hours. To discuss the most cost-effective and impactful LED solution for your refrigerated cases contact our customer service team at cservice@nualight.com. This month we focus on merchandising impact from within the refrigerated display, looking at examples from PennyMarkt and as the end of 2017 approaches the industry looks at future concepts of shopping how to limit waste food. Please note that this link expires on 20th January 2018, so make sure to look out for the next one in the new year! Christmas Jumper Day has arrived at the Nualight Cork office, so we thought we would take this opportunity to wish all our customers a jolly festive period and a happy 2018! Its been a great year and we look forward to completing many more projects together. Today the team in Cork are decked out in their merry Christmas jumpers in aid of the Cork Simon charity. Cork Simon is a local charity which works in solidarity with men and women who are homeless in Cork, Ireland offering housing and support in their journey back to independent living. Please note we will be closed from Friday 22nd December until 2nd January – when normal business hours will resume.